Logging and monitoring are the cornerstones of network and security operations. Whether it’s performance analysis or network forensics, logging and monitoring let you identify traffic and access patterns that may present security or operational risks to the organization. 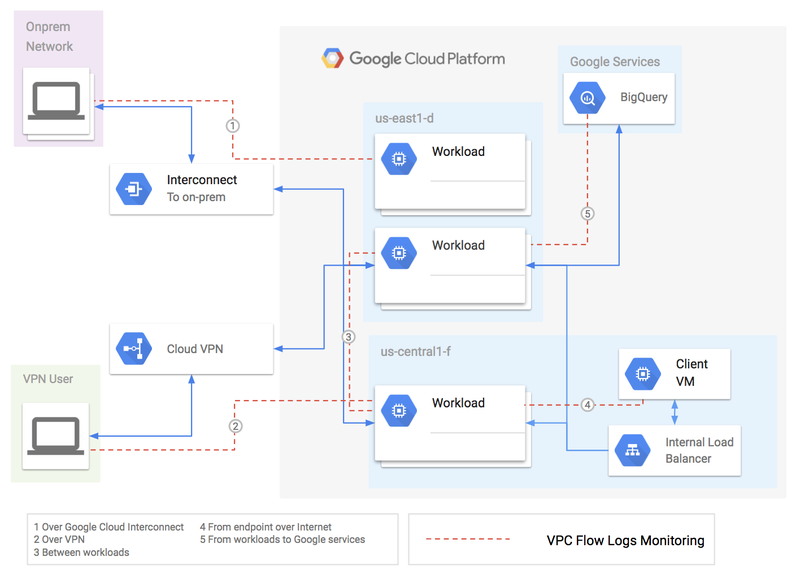 Today, we’re upping the ante for network operations on Google Cloud Platform (GCP) with the introduction of VPC Flow Logs, increasing transparency into your network and allowing you to track network flows all the way down to an individual virtual interface, in near-real-time. The logs generated by this process include a variety of data points, including a 5-tuple definition and timestamps, performance metrics such as throughput and RTT, and endpoint definitions such as VPC and geo annotations. VPC Flow Logs natively lets you export this data in a highly secure manner to Stackdriver Logging or BigQuery. Or using Cloud Pub/Sub, you can export these logs to any number of real-time analytics or SIEM platforms. Having VPC Flow Logs in your toolbox can help you with a wide range of operational tasks. Here are just a few. All this happens with near real-time accuracy (updates every 5 seconds vs. minutes), with absolutely no performance impact on your deployment. One of our key goals with VPC Flow Logs was to allow you to export your flow logs to partner systems for real-time analysis and notifications. At launch, we integrate with two leading logging and analytics platforms: Cisco Stealthwatch and Sumo Logic. — Jeremy Oakey, Senior Director, Product Management, Cisco Cloud Platform and Solutions Group. To learn more about VPC Flow Logs, including how to get started and pricing, please visit the documentation and product page.